We cater for all types of fabrication in mild steel, stainless steel, aluminum, bisalloy and chrome. Our extensive experience in construction and onsite fabrication and welding covers a wide range of industries. We offer a fully mobile 24/7 emergency breakdown service. Call us today and let us know how we can help you with your next project. At Cheps Metal Worx, we have a passion for building things, and delivering innovative projects. We’ve spent 15 years perfecting the craft of metal work. We love the challenge of a new project and the satisfaction of a job well done. 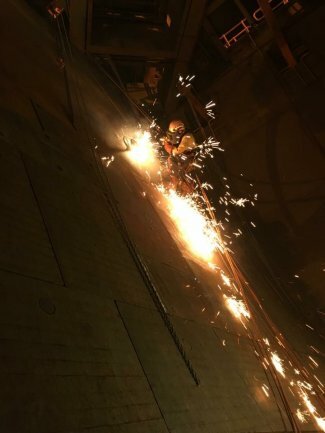 Based in Ipswich, Queensland, we specialize in fabrication, welding, construction, preventative maintenance, CNC plasma cutting, industrial rope access and Custom Fire Pit for sale. We cater for all types of fabrication in mild steel, stainless steel, aluminum, bisalloy and chrome. Based on your specific welding needs, we offer three different processes: Mig, Stick and Tig. Have an emergency that needs immediate attention? No problem. We offer a fully mobile 24/7 emergency breakdown service. Call us today and let us know how we can help you with your next Flat Pack Camp Fire project. Have an emergency that needs immediate attention? No problem. We offer a fully mobile 24/7 emergency breakdown service.